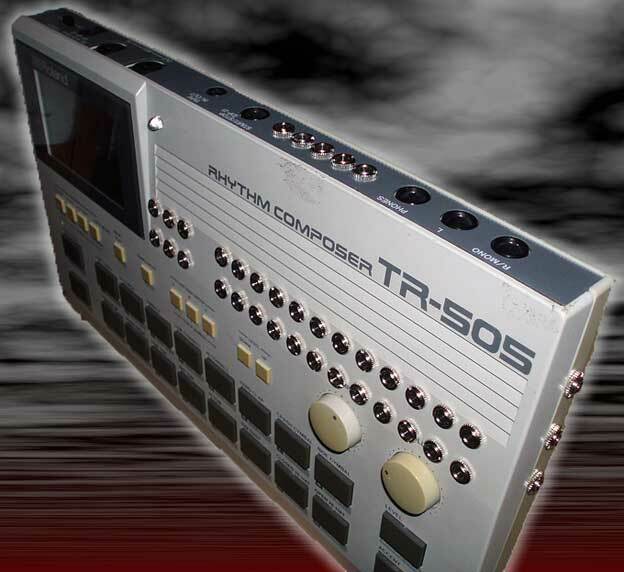 The Roland TR-505, a classic piece of kit! 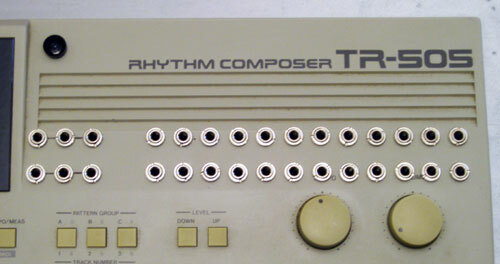 This Drum Machine is an essential feature of many studios throughout the whole world. Wherever there is a studio door that needs to be wedged open the 505 finds its true purpose as a door stop and does the job with a simple elegance which we can all admire. Never has a piece of music kit been so vastly overrated. But wait, no longer will the 505 be viewed as the runt of the Roland TR range! Our Drum Destruction patchbay mod turns this otherwise average piece of kit into an industrial grade percussion monster. 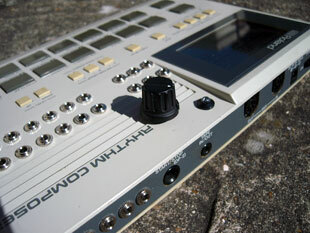 The patchbay also includes2 X 3 way Patching multiples for a huge range of extra sample grinding possibilities. Envelope Follower LED: This blue LED flashes along with the audio output of the machine. The audio output channels are monophonic, so on individual output 3 you can't play the clap & rim shot at the same time as they share a channel, and on channel 8 you can't play the timbale and any of the toms at the same time etc, just like the internal mixing on a normal TR505. The audio at the individual outputs consists of the raw sample of each sound. Longer sounds such as the crash and hats consist of a compressed sample, with a primitive envelope applied to it so it sounds vaguely realistic. As the outputs have to be sourced in the circuit before the envelope is applied, some sounds will not be identical to the main mix outputs. This is not a problem with short sounds such as the kick and snare etc, as the raw samples are more or less what you hear at the main mix output, but you will notice a difference with the crash and hats. 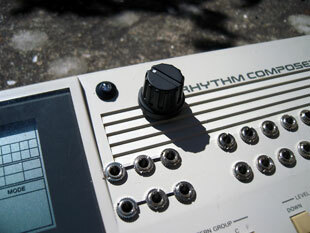 The individual outputs are mainly designed for isolating circuitbent sounds rather than a proper dedicated mixing tool. We will only install the individual outputs if we are installing the patchbay and/or the pitch mods at the same time. £30 gets you 5 x 3.5mm jack output sockets on the back, and three on the right hand side. We have a simple DIY tutorial on installing a pitch control into a TR505 using a LTC1799 oscillator. Take a look HERE for more details. MODIFICATION DEAL: Get all three mods at the same time and it costs £140. A saving of £10 on the normal price. 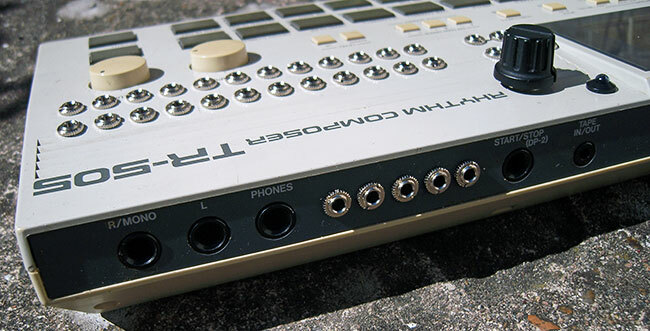 if you want your TR505 modded get in touch using the CONTACT form.